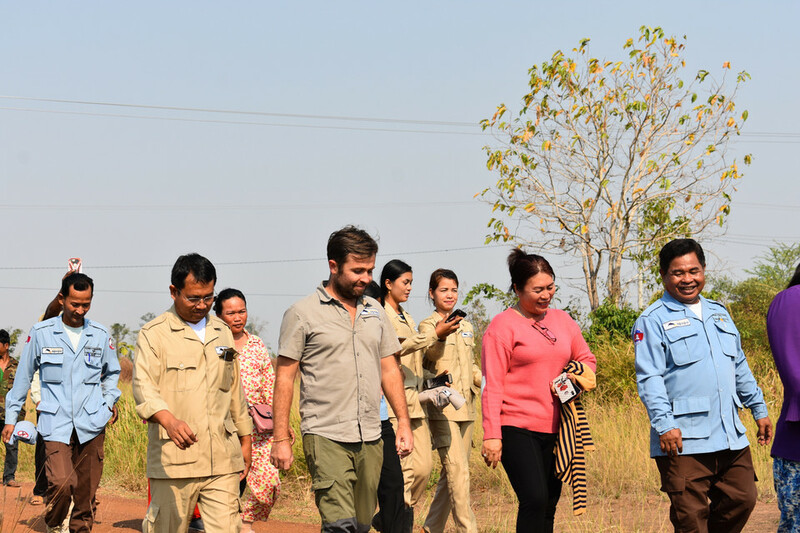 APOPO releases safe land back to the village of Dai Ao in Cambodia. 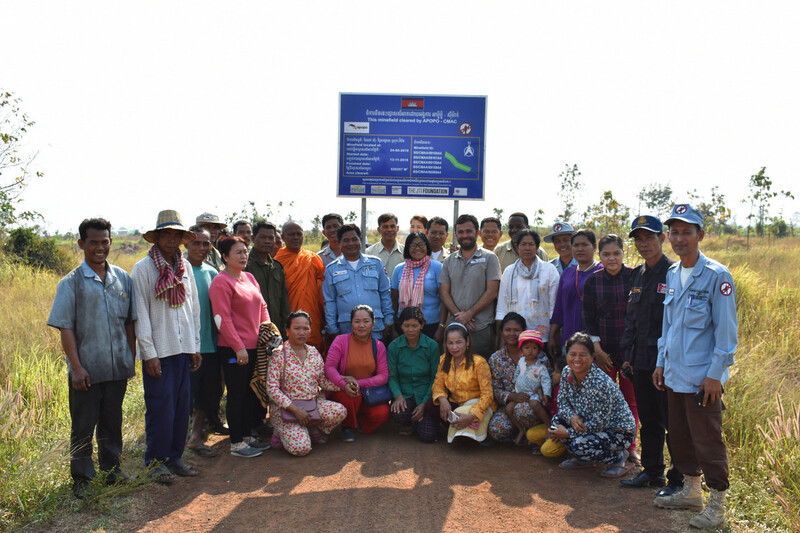 On January 16th, APOPO and partner Cambodia Mine Action Center (CMAC) were thrilled to announce the completion of a minefield in Dai Ao village of the Sre Noi Commune in Varin District. 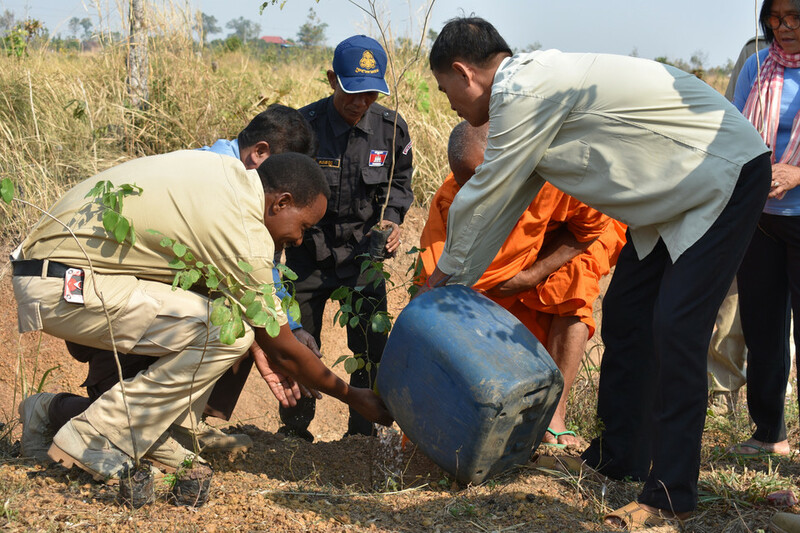 A handover ceremony was held to release 520,257 square meters of land back to the community that was cleared in the second half of 2018. The land was officially handed back to the villagers of Dai Ao who were living in and around the large minefield, until APOPO arrived and started clearing the land, metre by metre. In a country where poverty is widespread, cultivating land is an important source of income. When the ground is contaminated with landmines this can create an impossible choice. All too often, the urgent need to support growing families means using dangerous ground is necessary. 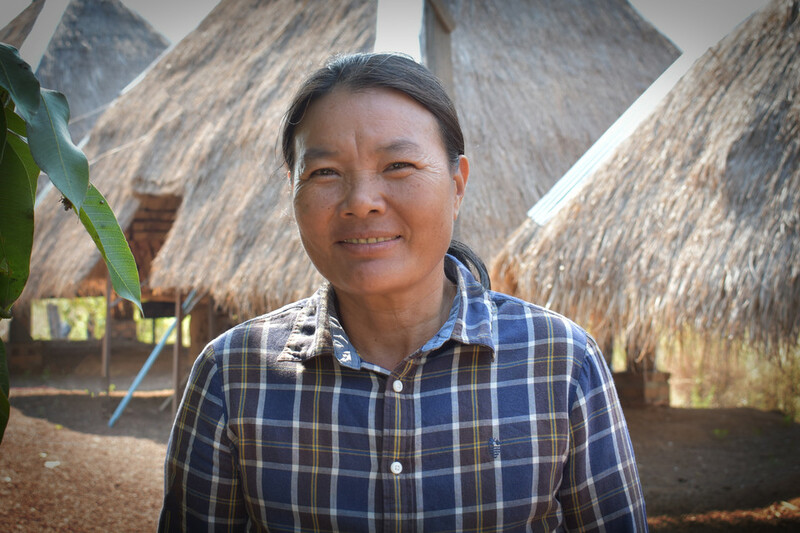 For Sok Heng, it was only when APOPO began to remove the landmines from the land and the teams were able to educate her about the danger that she fully understood the threat they posed to her and her family. She was shocked to see them so close to her home. The new land will help to improve their standard of living and end the decades of terror that they have lived with. The clearance was carried out using 3 different teams that worked tirelessly together for 6 months – a vegetation cutting machine team to prepare the land before the rat teams go on, a landmine detection rat (MDR) team of 8 handlers and 12 rats, a manual demining team using metal detectors to confirm rat findings and prepare boxes for the rats. They found and safely destroyed 187 landmines and 120 unexploded remnants of war (UXO). As the world ushered in this New Year, Cambodia celebrated 20 Years of Peace. As a special tribute APOPO also planted 20 trees around the cleared minefield for each year of peace in the country. 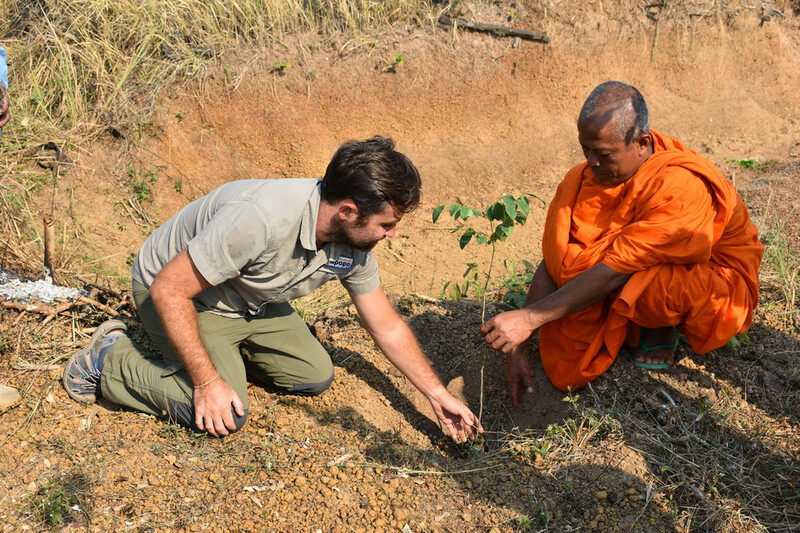 Yav Buntheoun, a monk, was invited to do a tree blessing ceremony and plant the first tree together with Mr Heiman and the Chief of Commune Mrs. Vok Norm, Chief of Village Mr. Kroch Sovanara, families from the community, landmine victims and APOPO-CMAC staff. APOPO Cambodia is most grateful for the support and generous contributions of its partners and donors.